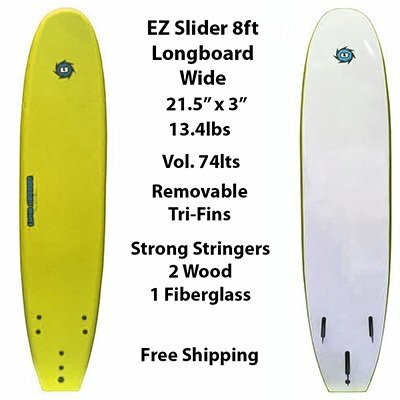 EZ-Slider Soft Surfboard, FSE Series. The 8ft FSE Foamie Soft Surfboard is a Classic LongBoard Shape. Dims 8’ x 21.5” x 3” Weigh 13.4lbs, Vol. 80lts. Removable Tri-Fin Thruster fin system. Fins included. Safety Foot Leash sold separately. 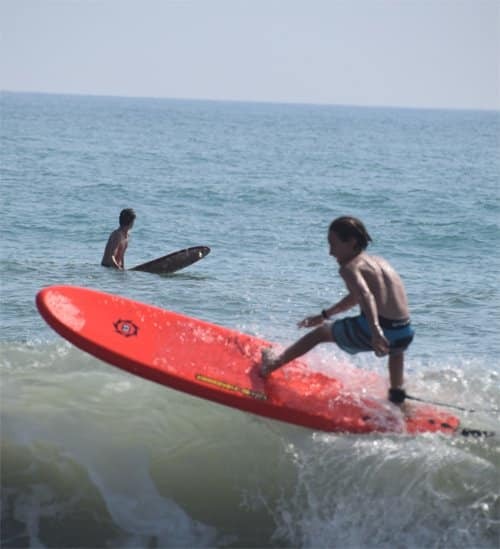 The 8ft EZ Slider Foamie Soft Surfboard is specifically designed for kids and beginners. 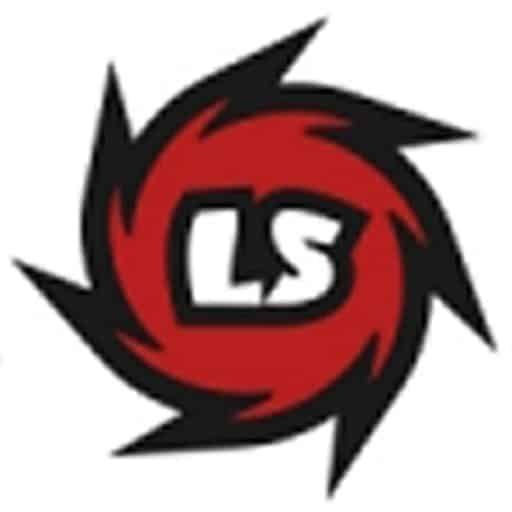 Arguably the best beginners longboard surfboards for riders up to 180lbs, more for experienced riders. Dims 8’ x 21.5” x 3”. The 8ft FSE Foamie Soft Surfboard has a Soft foam deck, EPS core with Slick, Fast Bottom. 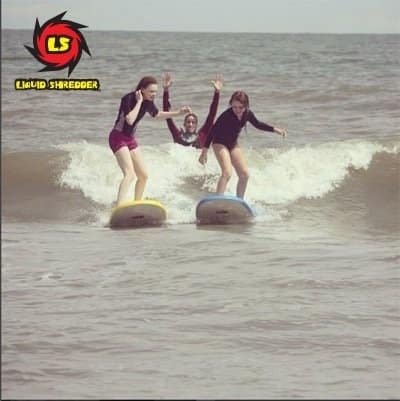 The template is classic longboards surfboard shape that carves the waves with ease. Dual Wooden and One Fiberglass stringers for strength. Heat laminated, no glue. We bought the 8 ft for my kids to share. It is more fun and maneuverable than a Wavestorm and can handle a wave with a little more juice. I gave it a 4 star because the rail tore when I cranked it down with surf straps on the roof of a car, but it could have been my fault for cranking too hard.